Why is Naxos so famous? What if you could lay under the sun, at an exotic beach, surrounded by lush Cycladic nature? Well, that’s what you get in Naxos. Along with many other (amazing) things that make the island so famous! Truth is you can expect nothing less from the biggest and greenest island of Cyclades island complex. Full of traditional villages, natural landscapes and exotic beaches, Naxos is as if it belongs to another world. A world where time seems to have stopped to your most carefree years! But what is the reason why the magical world of Naxos is so famous? Keep reading and the truth will be revealed. Located in the heart of the Aegean Sea and offering a breathtaking landscape, Naxos is one of the most popular destinations in Cyclades. 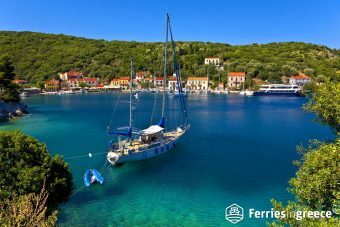 Huge impressive mountains, breathtaking gorges and fertile valleys surrounded by long golden beaches with crystal-clear waters and quaint little villages, create a unique Cycladic landscape. This is what Naxos is all about! Keep reading to learn all the secrets of this Aegean piece of paradise! This island is big. You know that. But, do you know what it means? Naxos has a wide selection of beaches for every taste. The western side of the island has been more developed for tourists, while the eastern side remains unspoiled, covered by beautiful wild nature. Agios Georgios beach Naxos (or Saint George beach Naxos) is one of the most popular beaches in the island. Thanks to its close distance to the main town, this beach is the perfect choice for a quick swim in a hot summer day. What will stand out to you the most at Agios Georgios beach, is its length! It’s an endless sandy beach, perfect for families with little kids, who can play free with the sand. Are you a windsurfing lover? Bingo! Naxos is one of the best places in Greece for windsurfing, thanks to the northeastern and northern winds. At Agios Georgios beach you can find all the essential windsurfing equipment and also take windsurfing lessons. Tip: Even though Agios Georgios beach usually gets crowded in the morning, it is peaceful in the afternoon. So, if you want to spend a calm evening in town by the sea, this is a pretty good beach option. Agia Anna beach is actually a group of sandy beaches, just 7 km away from the island’s capital. The soft golden sand and the the crystal clear waters create an idyllic scenery, perfect for a long day at the beach. Being one of the best organized beaches in Naxos, Agia Anna has, of course, many facilities. 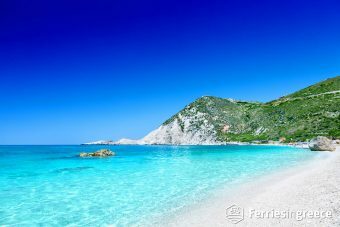 At this beach you can find umbrellas, sunbeds, many waterfront taverns and bars, as well as, many types of accommodation! Tip: There is a cove next to the small port of Agia Anna, where water is always calm. Choose it for a swim, even when the rest of the beach gets wavy. Are you looking for a peaceful beach with a natural landscape, ideal for relaxation? Then, go straight to Plaka beach! Despite being quite a popular beach, Plaka still manages somehow to keep its unspoiled beauty. Stretching for 4 km, Plaka is a long beach, parts of which are organized. This means you can choose an organized part or a more secluded part to spend your beach day. Except for umbrellas and sunbeds, there are no facilities in Plaka beach, allowing its unspoiled beauty to be revealed! 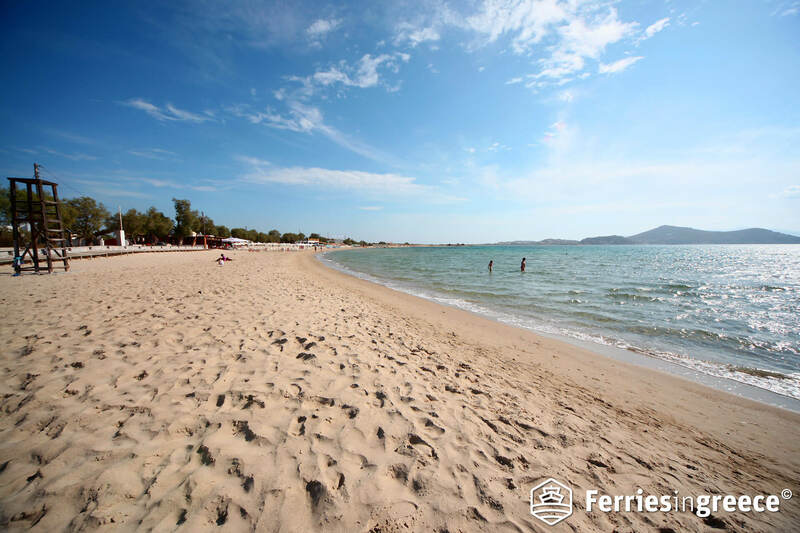 Tip: Plaka beach is a perfect beach option for walking! Our suggestion is to park your car nearby and do a long sunset walk on the sandy shore. Blinding flash of the obvious, but Sahara is a sandy beach! Just imagine a big sandy coast with crystal clear waters, surrounded by a natural landscape. Sounds amazing, right? The best part about Sahara beach, though, is its peaceful atmosphere. So, if you want an isolated alternative to the crowded Naxos beaches, this beach is your go-to choice! Tip: Sahara beach is the perfect choice for windsurfing, away from the crowds and snorkeling. Don’t fall into the trap of believing that Naxos is all about those beaches! If you want the real deal, you should visit the island’s traditional villages. The villages in Naxos have special architecture, especially in the countryside. 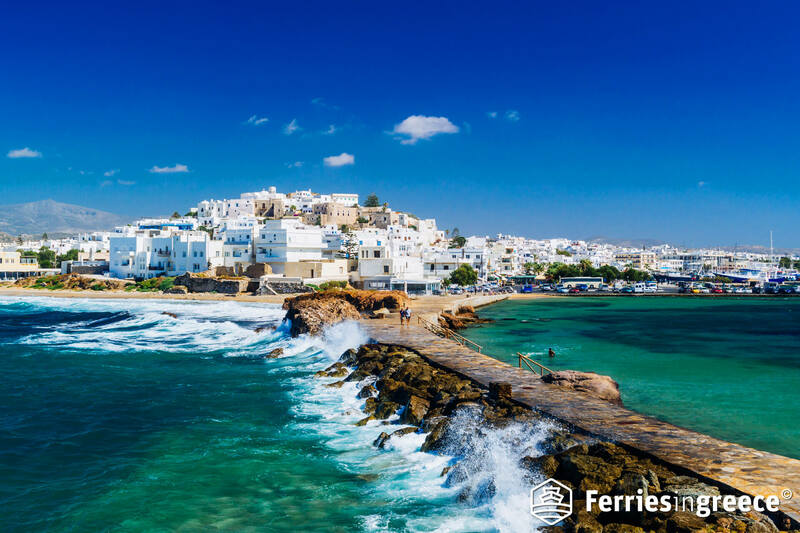 Naxos Town, also known as Chora, is the capital and main port of the island, where all ferries to Naxos arrive. Its trademark is, hands down, the impressive Venetian Castle! Due to the long Venetian occupation in the Medieval times, Chora’s architecture is influenced by Venetians, hence the narrow cobbled streets and sophisticated towers. Located between 2 green mountains, Apiranthos is a traditional village with marble alleys, stone houses, small squares and many interesting museums. Such museums are the Museum of Folk Art, the Archaeological Museum of Apiranthos and the Geological (!) Museum. Walk around this beautiful village and marvel the breathtaking view to the town. 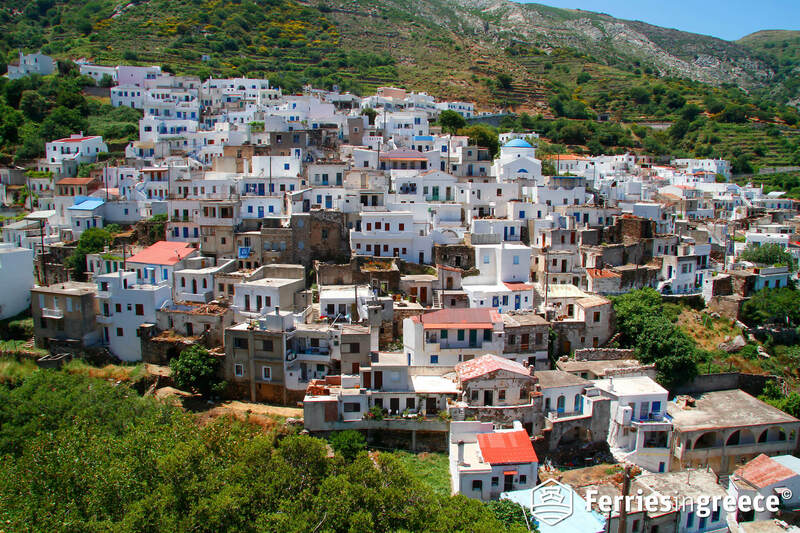 Filoti, Sangri, Koronos and Potamia are other traditional villages in the countryside of Naxos, surrounded by hiking trails and interesting monuments. Bucket list for sure! Given that Naxos is an island with a long history and rich culture, it has plenty of sights to visit. The trademark of the island is the famous Portara. It is actually an imposing marble gate, the only remain of a 6th century BC temple, dedicated to Greek god Apollo. 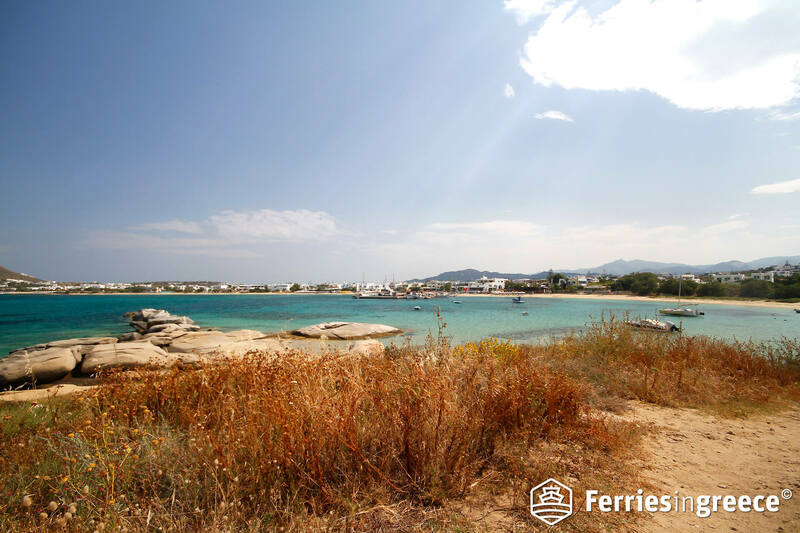 Located at the entrance of the town’s port, it’s the first thing passengers on ferries to Naxos see upon their arrival to the island. The best time to visit Portara is when the sun goes down. The sunset views from Portara are dreamy! Walking around Kastro, the oldest quarter of Naxos Town, will give you all sorts of nostalgic feels. The castle area in Naxos is basically a medieval town, built in 1207 and preserved until today. The castle has three gates: “Paraporti”, “Trani Porta” and “Piso Paraporti”. Whichever entrance you use to enter the castle, you’ll have the chance to find some amazing monuments behind the walls! 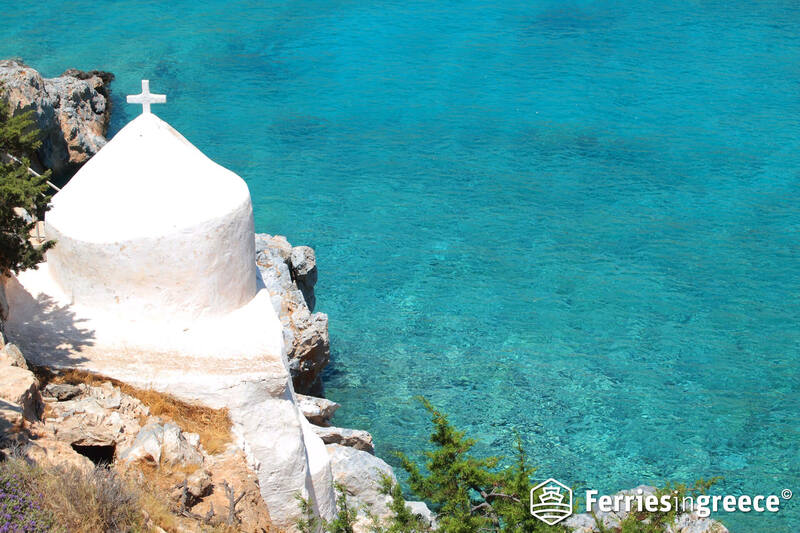 Other beautiful sights to visit around the island are the many Venetian towers, the ancient Temple of Demeter in Sangri, the two Kouros Statues (one in Melanes and the other in Apollonas) and the Byzantine Church of Panagia Drossiani. 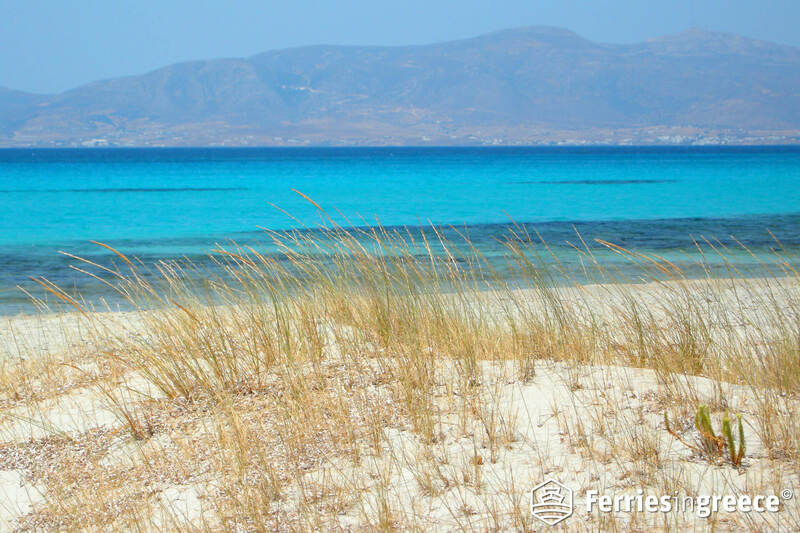 Getting to Naxos by ferry is as easy as it can get! 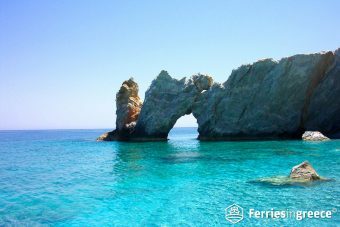 There are daily and frequent ferries to Naxos from Piraeus port and Rafina port, the two ports of Athens. 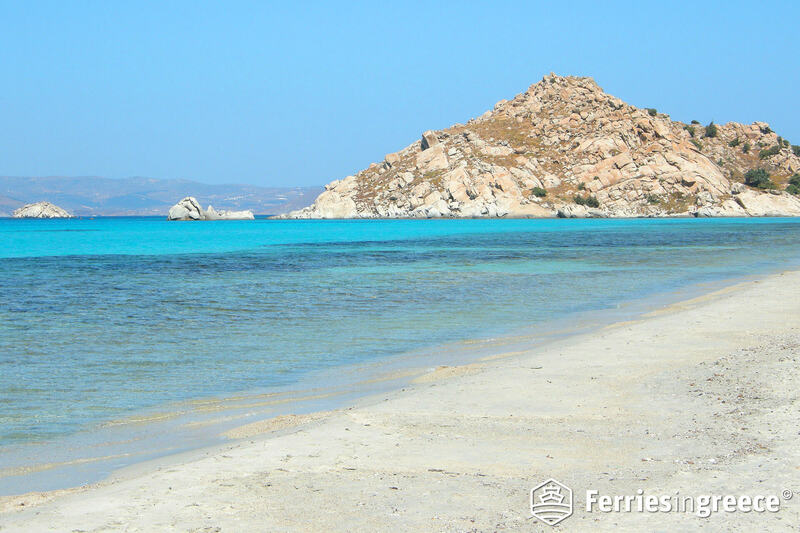 Ferries to Naxos also stop in other Cycladic islands, such as Mykonos, Paros, Santorini, Syros and more. Truth is, Naxos ticks all the boxes. It just does! From exotic beaches to rich culture and from impressive monuments to beautiful traditional villages, it has it all. So, what’s stopping you from planning your next holidays to Naxos?